Use a salad spinner to wash and dry the lettuce. Arrange the salad onto serving plates and layer the oranges and avocado over the top. Sprinkle on the fresh mint and basil. 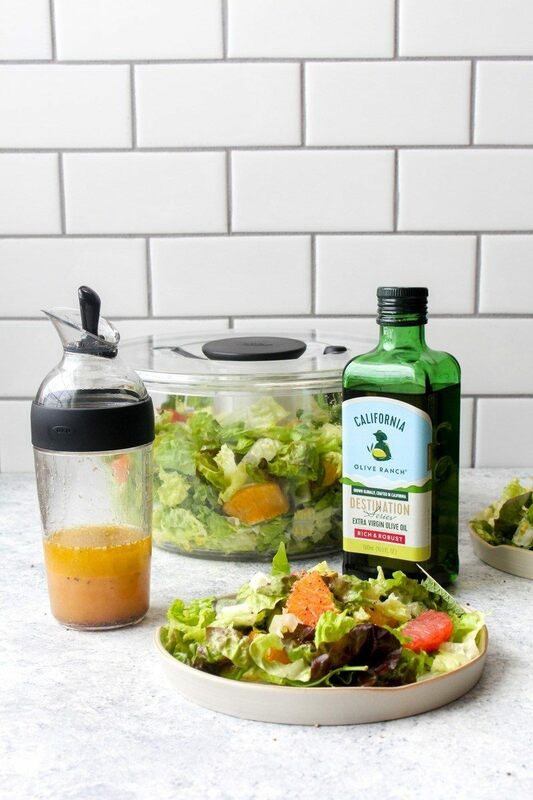 Add all of the dressing ingredients into a shaker bottle and shake to combine. Pour over the salad and serve.